After Guardians of the Galaxy, which superheroes should get a movie next? We’ve been getting very excited about Guardians of the Galaxy recently, even though…erm, we don’t actually know who they are. What is that racoon doing with a machine gun?! 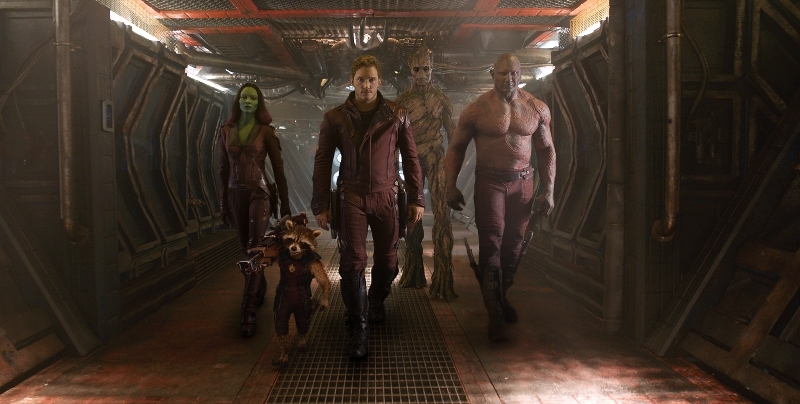 Guardians… is the most obscure superhero blockbuster yet, but it won’t be the last. Ant-Man (no prizes for guessing his superpower), Aquaman (who lives in the sea) and The Flash (the one Sheldon from The Big Bang Theory dresses up as) are all getting their own flicks over the next couple of years, and you can bet that all of them will sell DVDs by the bucketload. 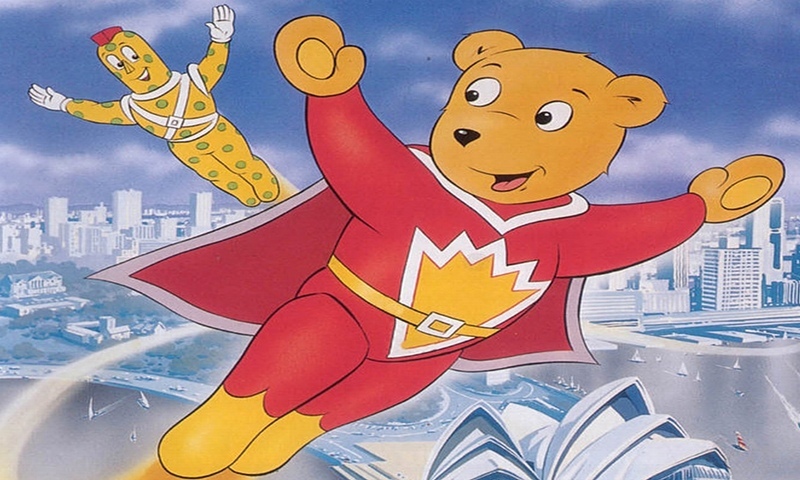 SuperTed is a magic Welsh teddy bear who begins a lifelong fight against crime after being exposed to cosmic space dust. If that doesn’t scream ‘Hollywood blockbuster’ to you, we don’t know what would. Admittedly, SuperTed’s wholesome adventures probably aren’t gritty enough for modern audiences more familiar with the death-and-darkness of Bruce Wayne, but there is a simple solution: give Ted a cosmic space dust addiction! You can have that one for free, Hollywood (unless the movie makes loads of money, in which case we want half). 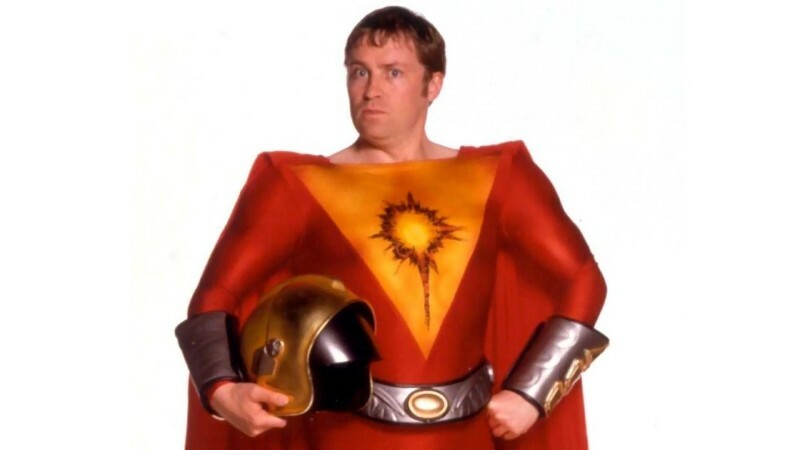 Thermoman was the star of early-00s BBC sitcom My Hero, which was like a (sort of) funny version of My Family. The show followed Thermoman (played by Dougal from Father Ted) as he adapted to life on Earth and tried to balance his crime-fighting duties with family life. Needless to say, there were regularly hilarious consequences. We actually considered not including Thermoman, as we reckon he might be in the new Avengers film; it’s called Age of Ultron, and Ultron just so happens to be the same name as the planet ol’ Thermy is from. Iron Man must be quaking in his boots already. Let’s be honest: alien threats and criminal masterplans aren’t that common. We’d be better off with superheroes that help you with the ironing, or make you breakfast while you get ready for work. It’s clearly something the Green Cross Man considered when choosing how to use his superpowers. 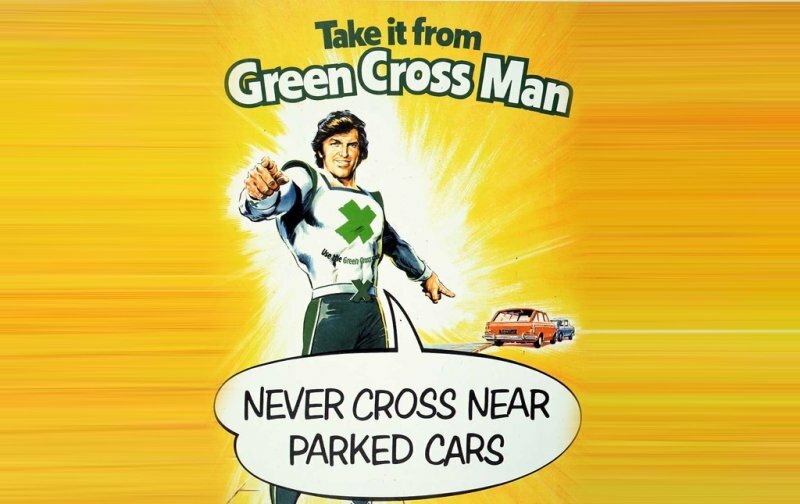 Despite being tall enough to crush the average man and possessing the ability to teleport, GCM dedicated his life to helping kids cross the road safely. Alright, so his movie would be pretty boring. But did we mention that he’s played by none other than Darth Vader in the live action adverts? And, with the new Star Wars movies due out soon, wouldn’t it be an excellent twist if the most evil man in the galaxy spent his free time helping younglings stop, look and listen? 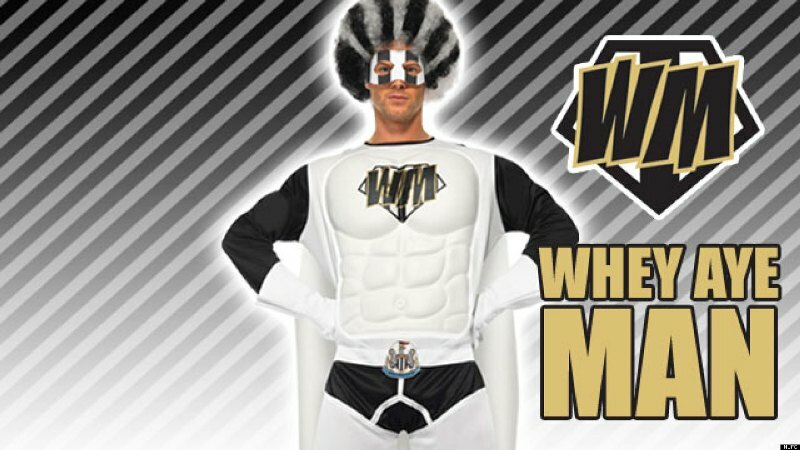 Whey Aye Man is Newcastle United’s official superhero and boasts a number of powers, including ‘snatching defeat from the jaws of victory’, ‘instant disappointment’ and ‘finishing in mid-table every season’. We’re not really sure how a Whey Aye Man movie would work, but we imagine it’d involve some sort of Batman vs. Superman face-off with You’re Twisting My Melon Man, the Manchester City superhero (who we’ve just made up). Mighty Max was a superhero?! Apparently so. And, believe it or not, his superpower wasn’t ‘getting lost under the sofa’ or ‘being eaten by the dog’ – it was the ability to traverse space and time using the big M on his hat. The more you know, eh? Which superheroes would you like to see get their own movies? Let us know in the comments.